Swedish digital festival DreamHack Winter 2012 is to host a large-scale 5-on-5 tournament for Counter-Strike: Global Offensive. 16 of the “very best” teams worldwide will fly in to shoot each other in the mug; some invited, others to be decided through online and LAN qualifying rounds. All of this for a prize pool of 300,000 SEK – £28,500 or so. “Counter-Strike has always been, and still is, one of the most popular games in the Nordic region and bringing a world tournament to the table at this early stage feels like a natural step for DreamHack” said Robert Ohlen, CEO of DreamHack. “eSports is moving forward and we believe that CS: Global Offensive will be a vital part of that progress”. 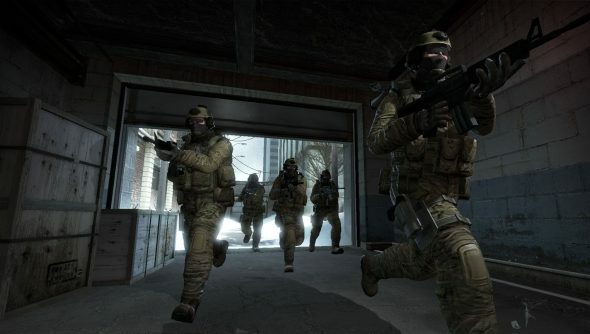 “Our goal is to improve live production of Counter-Strike by an order of magnitude as the development of CS productions has been on a decline during the recent years” said Tomas Hermansson, Head of eSports. “We’ll bring in some of world’s best commentators and experts but also try to redefine live streaming in FPS-games especially with pre- and post-game analysis in a TV-studio between the tournament matches”. This sort of pre-emptive adoption of Counter-Strike’s newest iteration can only help to keep an ageing scene at the forefront of eSports, as Nathan “NBK” Schmitt would no doubt agree.